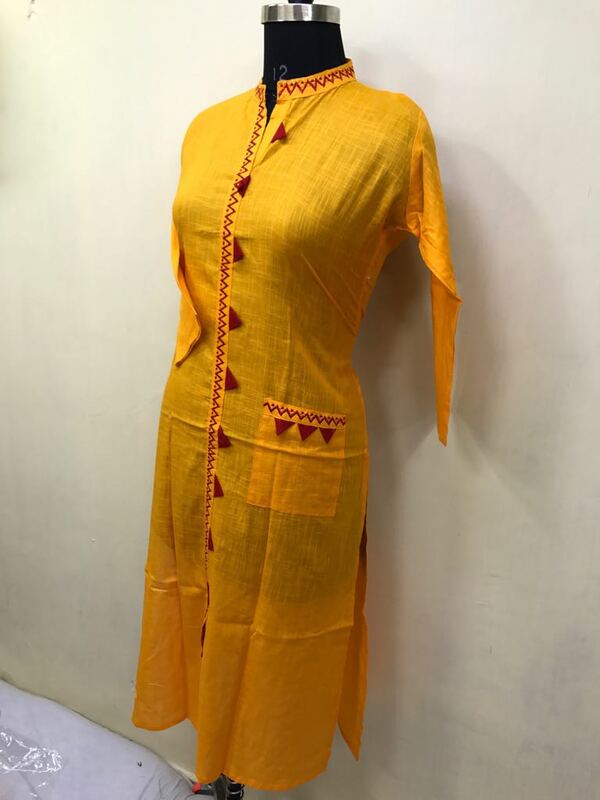 Cotton Long Kurti. It has straight cut. It's colour is Yellow. Soft good quality cotton. Touch of embroidery work on the kurti. No guaranty on colour of the kurti. It's size is xl. Long in size. This product from Angik Boutique (This is also our boutique). It has three quater sleeves. It can be use in casual wear, some occasions. It will be good to dry wash for the kurti, atleast first two to three time of wash. 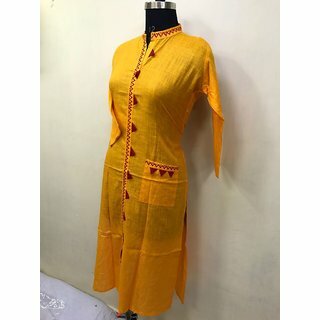 The fabric is too good of the kurti. It is so stylish cause of long lenght and pocket. I REPEAT THERE IS NO GUARANTY ON COLOUR.